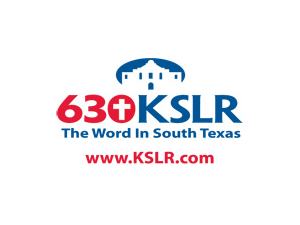 KSLR (630 AM) is a San Antonio, Texas area Salem Communications owned Christian Talk radio station. KSLR airs national programs such as Focus on the Family with Dr. James Dobson, Jesus is Our Shepherd with Pastor Ray McMahon, Dennis Rainey, Hank Hanegraaff, Chuck Swindoll, Alistair Begg, and James MacDonald. KSLR also airs numerous local radio shows such as Dr. Ed Skidmore, Gilbert Perez, and Allen Randolph.